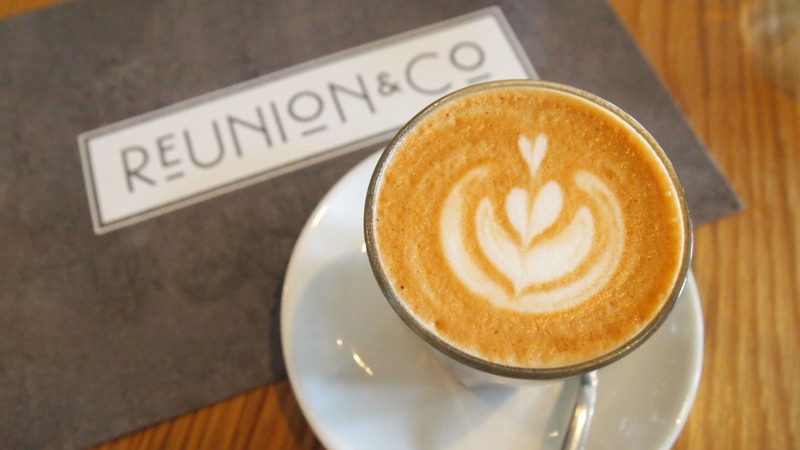 Reunion and Co has etched a place for itself as a real force in the ever competitive Richmond cafe market, with its impressive food offering, great coffee and friendly service. 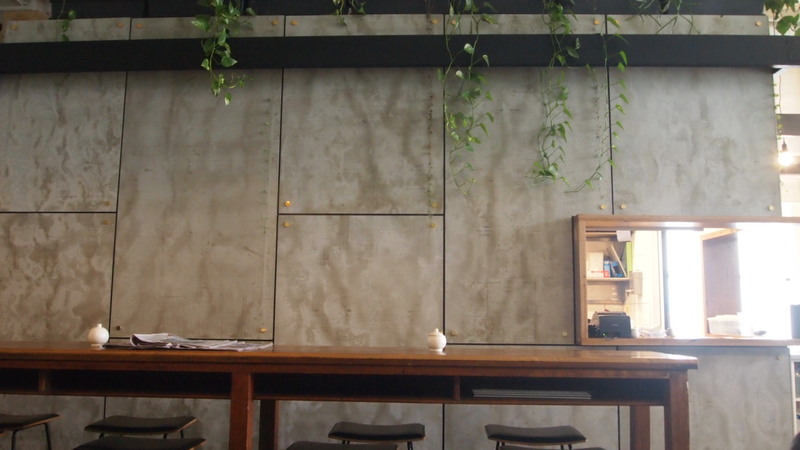 Located on Bridge Road, it looks like many others in Melbourne – a bit industrial, concrete and timber detail, with a hint of greenery. 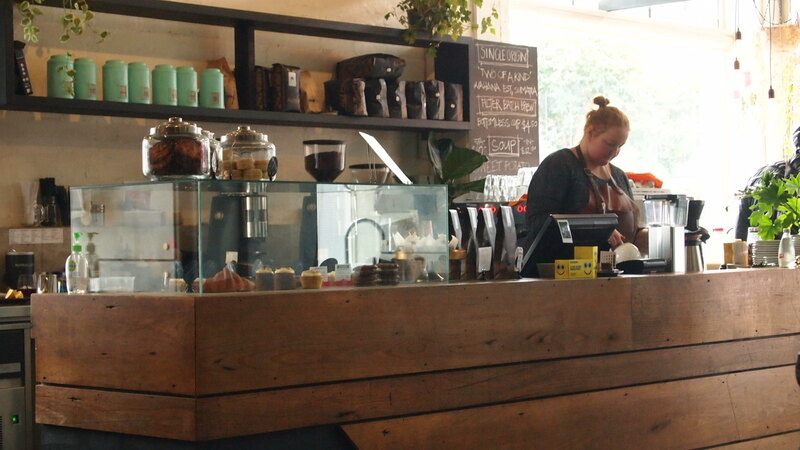 The wait staff were incredibly friendly and accommodating from the moment I walked in with my young family, seating us along the wall and moving a table around to fit my baby capsule and toddler. Being quite child friendly we were offered toy blocks to keep my toddler occupied, which proved to be a big hit with the little man and gave me a chance to enjoy a meal in peace. For something a bit different I opted for the mushrooms and was really impressed by what was served up. 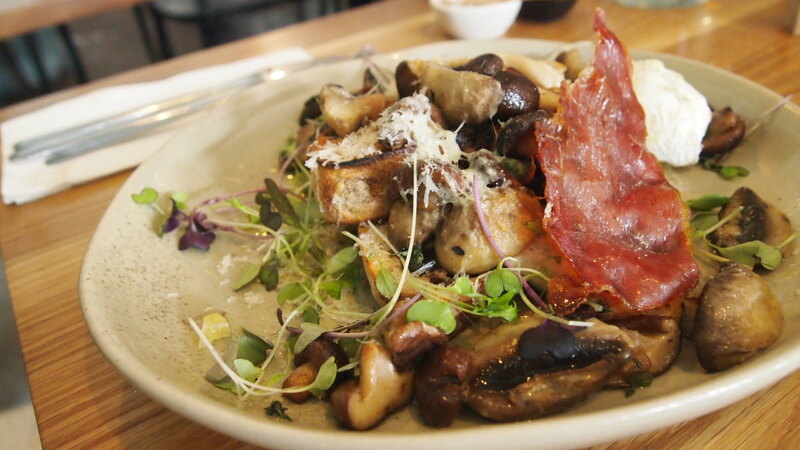 A generous amount of beautifully cooked shiitake, king brown and button mushrooms were served on top of two pieces of olive bread and accompanied by a poached egg and a piece of crispy prosciutto. The large and meaty mushrooms were really flavoursome, particularly once paired with the aged pecorino cheese. Needless to say, this dish was incredibly filling and totally hit the spot. The husband as usual opted for the American cheese burger and it didn’t disappoint. 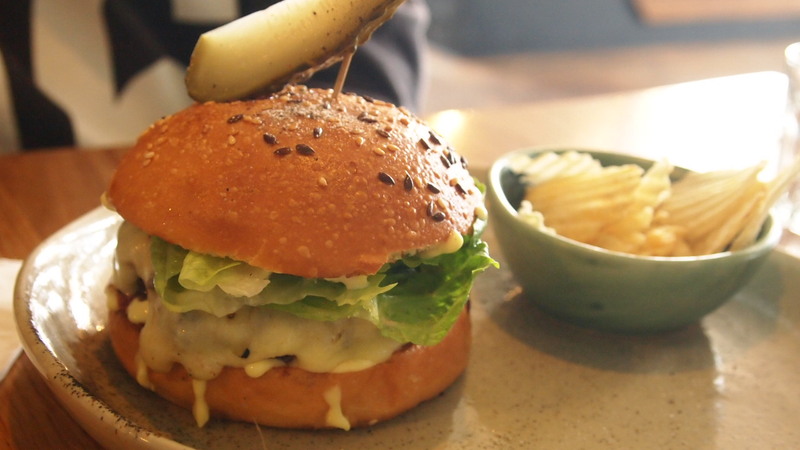 Quite simply, the juicy wagyu patty was topped with double cheese and American mustard, then served with a side of potato chips (the packet type, not fried chips). It tasted the way a cheeseburger should, rich and packed with flavour. Aside from your standard all day breakfast and lunch menus, Reunion and Co also offers a number of sweet and savoury jaffles. I couldn’t go past the apple pie jaffle, so we ordered one for the little man secretly hoping he’d leave half behind for us to eat. Upon first taste I really wished I’d ordered an extra serve for myself as it was too good to share. The two perfectly crisp pieces of thick bread encased the sweet spiced apple mix which was just delicious. The crispness of the bread and softness of the apple provided for a texturally balanced dish that I would definitely order again. Overall we really enjoyed our visit to Reunion and Co and highly recommend it to anyone looking for a great meal with friends or family. 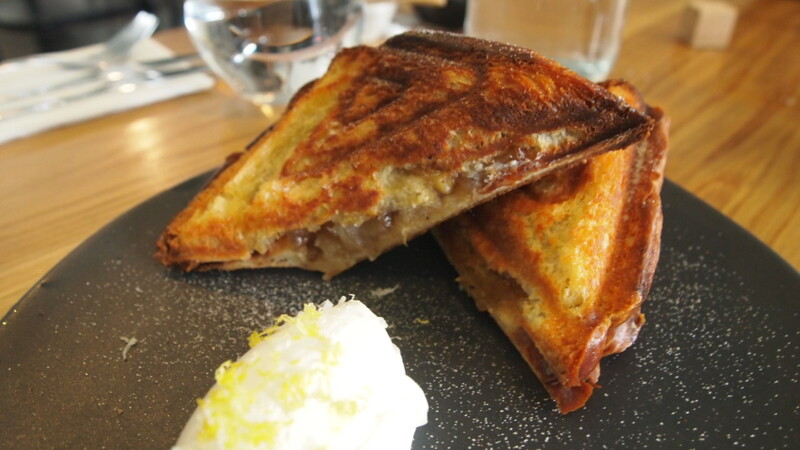 Love the sound of the jaffle menu – good old fashioned deliciousness!